Core the apple and slice in half vertically. Place the two halves on a cutting board, flesh side down, and slice each into 3 to 4 slices, from stem end to bottom to resemble half-moon. Cut 2 to 3½-inch slices from the cheese alternative, depending on dimensions, cut each slice again to create square or triangle shapes, as preferred. Cut cubes of turkey from the slice, or use a 1½ to 2-inch round cutter to cut rounds of turkey from the slice, and cut each round in half. 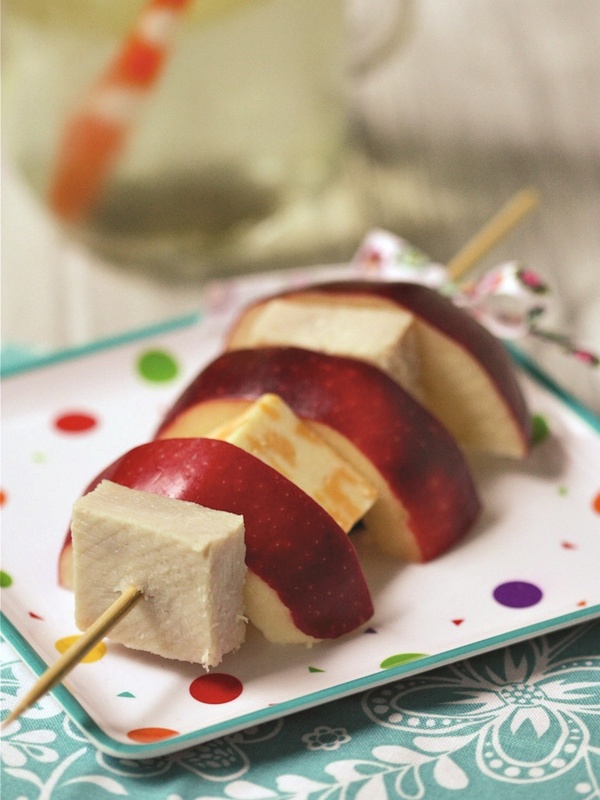 Thread pieces onto 2 skewers, alternating between apple slices, cheese alternative and turkey.